Born into a religious family in Boyer-Ahmad, Iran in 1949, Dr Malek Hosseini completed his elementary education in his rural village before going to Shiraz to attend a high school. After receiving his diploma in Shiraz, he returned to his hometown and served as a teacher in a nearby village for two years. Dr Malek Hosseini participated in the national university entrance exam and was qualified to enter the Faculty of Veterinary Medicine of the University of Tehran in 1973. During the same year, his mother died of a liver disease, a tragedy that soon changed Dr Malek Hosseini’s course of life and led him to take part again in the entrance exam to become accepted at the Tehran University of Medical Sciences in 1974. Having successfully completed a 7-year General Medicine education and internship with top grades in 1982, Dr Malek Hosseini entered Shiraz School of Medicine to pass his general surgery residency. After that, he went back to Tehran to fulfill his fellowship program in kidney transplantation at Shahid Beheshti School of Medicine, and during the same period, he became an assistant professor of general surgery at Shiraz Medical School. In 1990, Dr Malek Hosseini traveled to the United States to complete a research fellowship in liver transplantation in Pittsburgh. 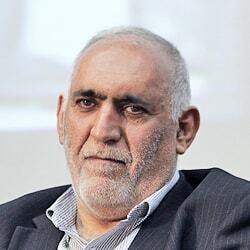 Upon his return to Iran in 1992, he formed a liver transplantation team at Namzi Hospital in Shiraz and performed the first liver transplant in Iran and the Middle East to earn the title ‘father of Iran’s liver transplantation’. Dr Malek Hosseini has since been highly active in organ transplantation surgeries especially liver transplantation and has advanced his theoretical and practical knowledge by attending various international courses and conducting research, including a research fellowship at King’s College London in 2001. He has also been active in benevolent organizations and made charitable contributions to poor people in need of medical attention.